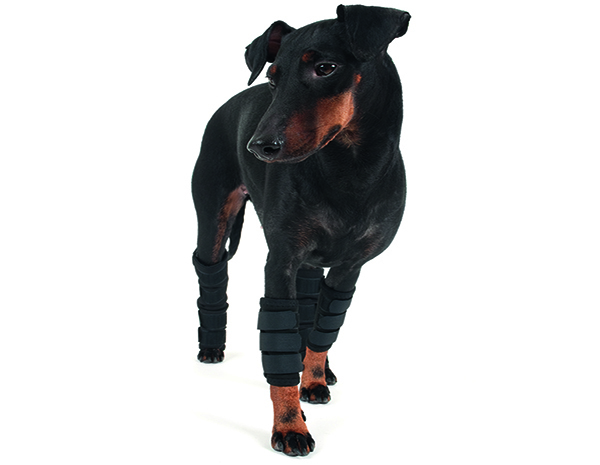 These Leg Wraps use your dog’s own body warmth to relieve pain and inflammation. 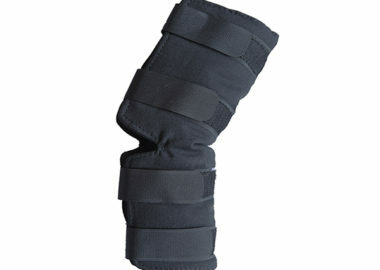 Back on Track’s Therapeutic Dog Leg Wraps are ideal for both injury prevention and recovery of your dog’s front legs. 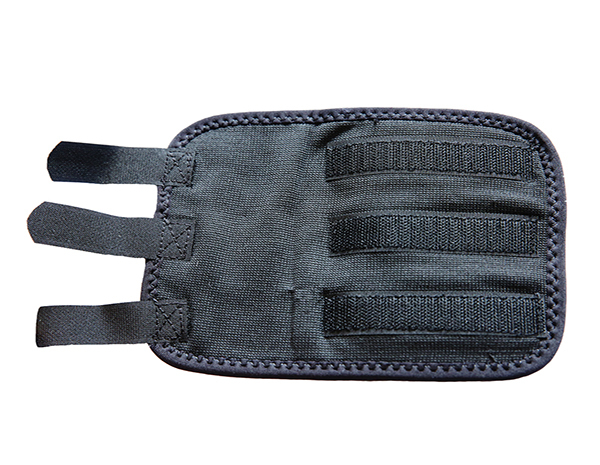 They are made of 100% cotton fabric that is infused with our state-of-the-art Welltex technology, leveraging your dog’s own body energy to create a soothing far infrared effect. 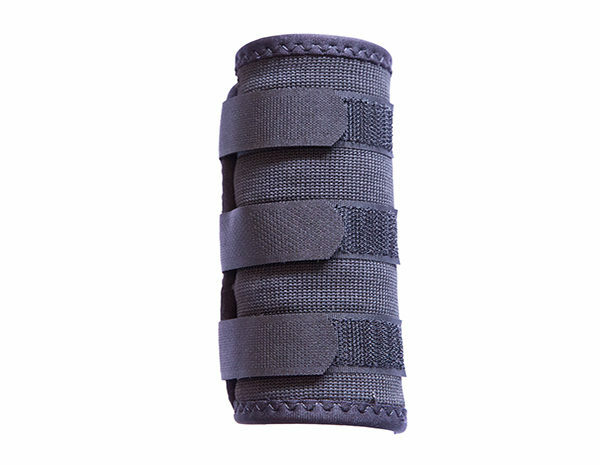 These dog leg wraps have been designed to comfortably fit a dog’s leg area and may help relieve soreness in muscles, joints, and tendons. 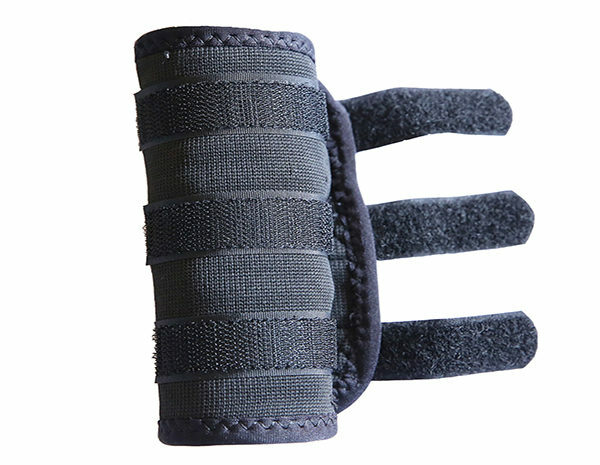 Attached are three strips that allow you to quickly fasten and unfasten the wraps as well as adjust their snugness. 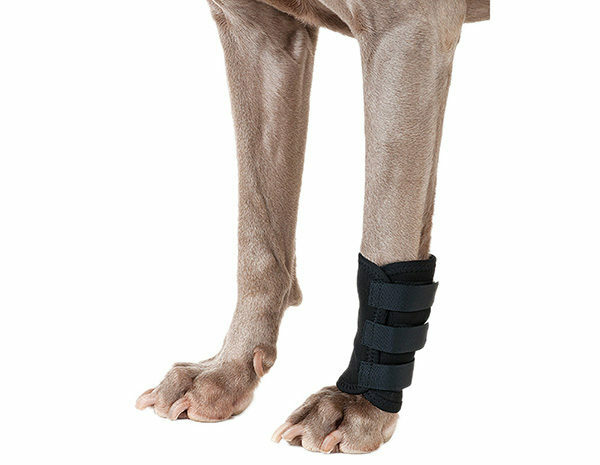 For specific injuries, we recommend that you speak with your veterinarian or therapist before starting treatment with our dog leg wraps. If you have any other questions regarding our canine leg wraps or need assistance determining your dog’s size, please don’t hesitate to contact us. We hope your furry friend enjoys our therapeutic dog leg wraps! 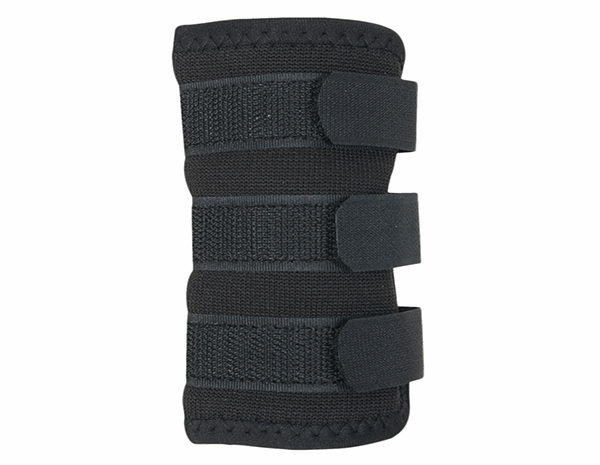 Our Dog Hock Wraps may help relieve injuries more quickly and ease arthritic pain.